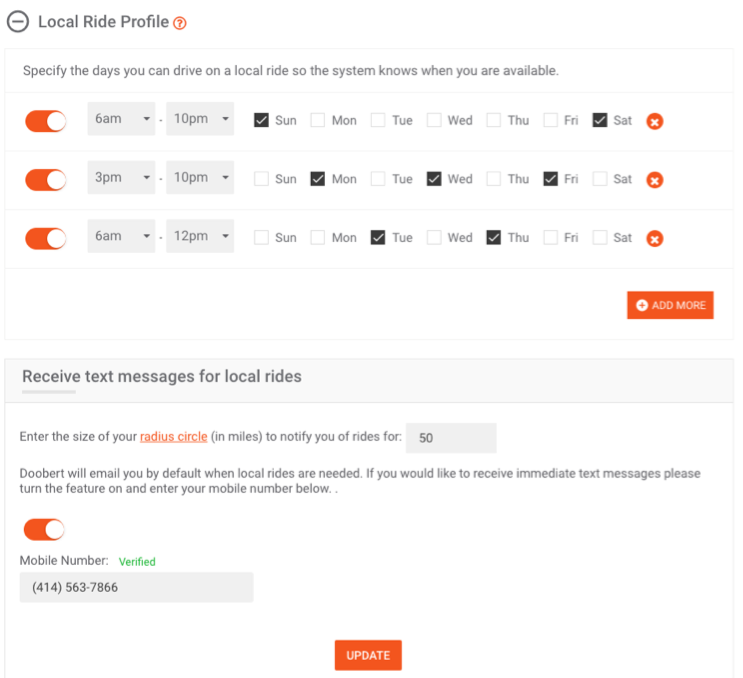 Driving local rides with Doobert is quick and easy! From MY DASHBOARD, select the PROFILE button, then select TRANSPORTER. Enter as many schedules as necessary and turn them on, by using the slider button. Enter the size of your radius circle in miles and if you want to receive text messages, be sure to activate the slider button and ensure you’ve verified your phone number. Text Messages – you just signed up for them! In-App notifications – download the FREE Doobert app today!